Euston used to be all station and no substance, but these days there's more to NW1 than just the commute. Don't believe us? Euston has the burgers, beers, ribs and rotis to prove it. Outside The Euston Tap. Photo by DncnH in the Londonist Flickr pool. Straightforward, cheap and cheerful, Double Six Café on Eversholt Street is open from 7am on weekdays and serves food to match the old-school caff interior — fry-ups, bacon sandwiches and the classic egg-chips-beans hat-trick. For a slightly more upmarket start to the day, try The Megaro Eatery on Euston Road. It's a hotel restaurant which is reflected in the price (and the presence of maps spread across the tables as tourists plot their day's sightseeing) but the portions are hefty, the Full English is a winner and they've mastered the fine art of gooey egg yolks too. Fans of BBC Sherlock flock to Speedy’s Sandwich Bar thanks to the caff frequently featuring as a location in the series. But as well as assorted merch and some tenuous tie-ins — like the Sherlock Wrap — they do great hot, cold, and genuinely speedy sandwiches making it ideal for a lunch break visit, fan or not. The menu at Xi'an restaurant Murger Han is quite opaque, featuring sketches of donkeys and mountains and cryptic references to 'special herbal sauce'. Fortunately you can't go that wrong with the murgers (also known as rou-ji-amo), toasted flatbreads stuffed with minced beef or pork. 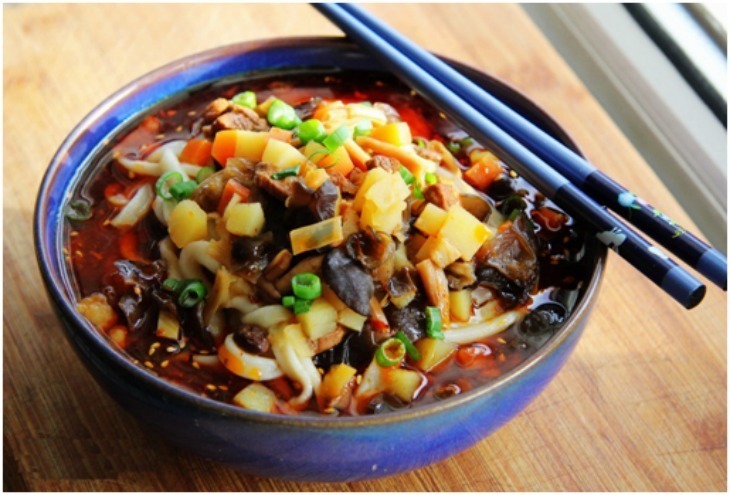 For the adventurous there's ox tripe soup while the biangbiang noodles are an all-round favourite. If you're looking for a café with a side of culture head for the Wellcome Collection Kitchen, where you can explore medical artefacts and scientific antiques either side of your salt beef sandwiches, grilled swordfish or veggie risottos. Usually open for lunch until 4.30pm and then afternoon tea until 5.30pm. The dinners (Thursday evenings only) are worth a visit as well. Or for a more bookish flavour to your cultural hit, try The Terrace Restaurant at the British Library, with decent sandwiches, seasonal salads and a few hot dishes. A separate cafe on the first floor has a bigger range of hot food and less of a working-lunch feel to it. If your midday munch merits a more Mediterranean slant, head to Albertini on Chalton Street. It's open all day but especially good for an un-rushed lunch at a pavement table, with a crusty ciabatta or creamy risotto to devour. Everything is better with beer. 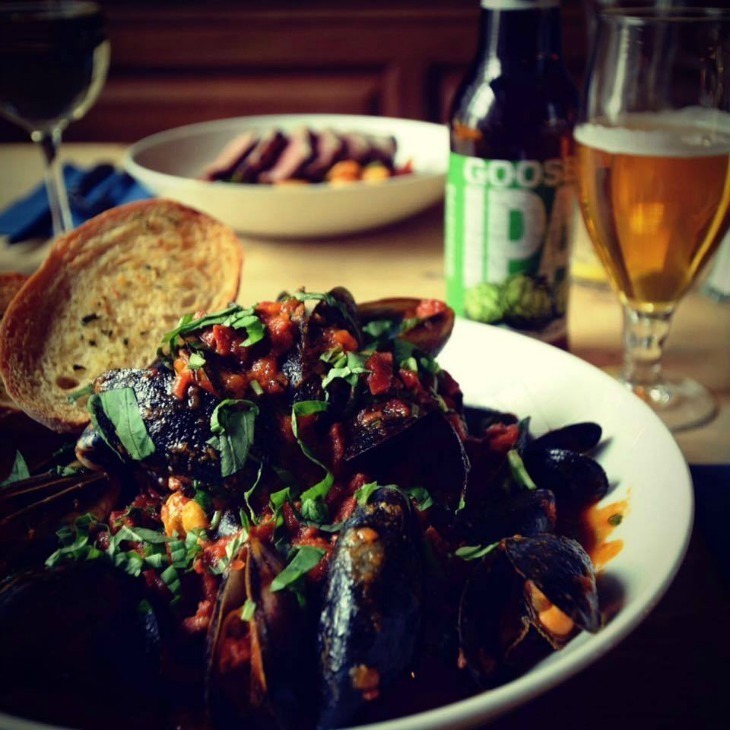 Beer and mussels at Somers Town Coffee House. Euston's surprisingly well-served for pubs, with traditional boozers, craft beer joints and gastropubs covered. The Crown & Anchor and The Doric Arch are both decent pubs with burgers, live sport being screened and cask ales. 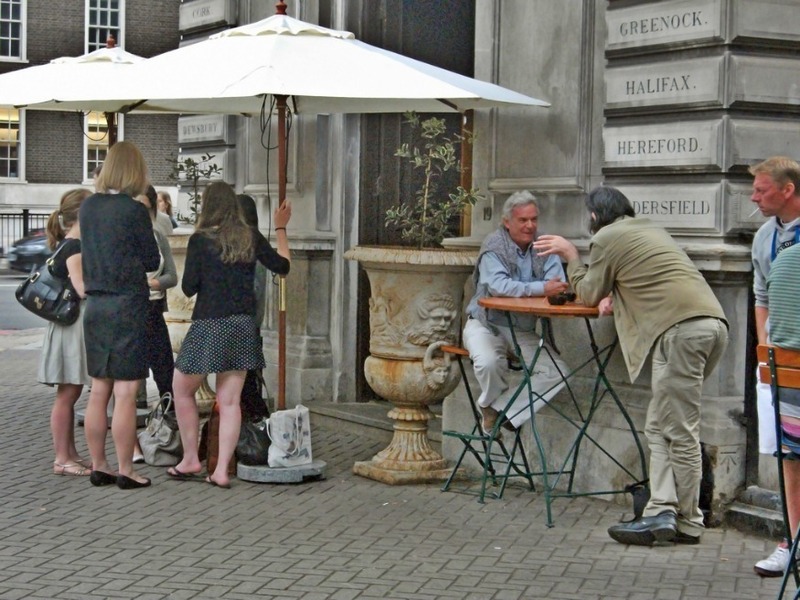 For good pubs with a neighbourhood feel, though, the Somers Town side of Euston is the best bet. Somers Town Coffee House might technically do coffee but the ground floor is a beerhouse through and through, with an extensive (though not very off-piste) range on draught and even a little beer garden. On top of that they do gastropub classics, small plates and occasional supper clubs in the upstairs dining area. Maybe our favourite pub in Euston, The Pack & Carriage has a good wine list, brilliantly-chosen draught and bottled beers and a warm, faded wooden bar area. And with a menu entirely dominated by chips too. In an old gatehouse opposite the station, the Euston Tap feels less like your friendly local and more a borderline-bar for the after-work drinkers. Foodless and low on seating, it still more than justifies a visit with maybe the best craft beer line-up in NW1 and a heated beer garden. Looking inside Origin Coffee on Euston Road. Sorrento Snack Bar on Woburn Walk, just minutes from the station, isn’t as Italianate as it sounds, with an emphasis on baguettes, Full English breakfasts and toasties. The coffee's good though, and it's an unassuming, friendly place to decamp to one of their wooden booths with a newspaper and espresso. 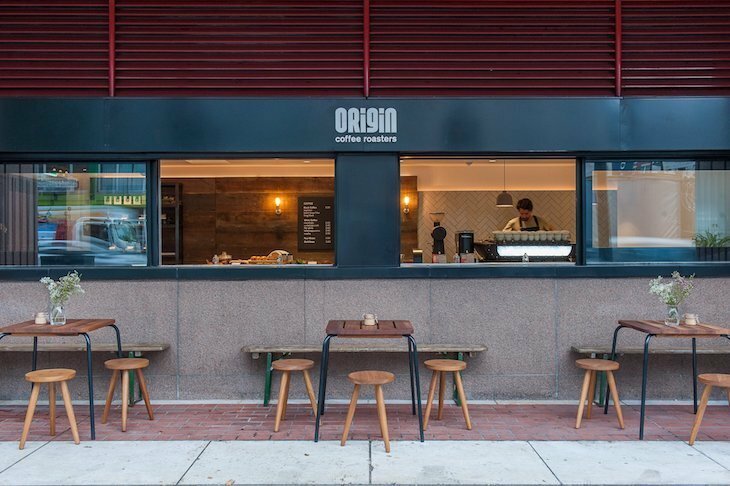 For a takeaway, try Origin Coffee on Euston Road, nestled out the front of the British Library. It's open from 7.30am on weekdays, and is a larger off-shoot of the espresso bar stand in the entrance hall of the British Library. There are sweet pastries and savoury sarnies, but coffee reigns supreme here and their self-roasted, single origin brews are the bee's knees. 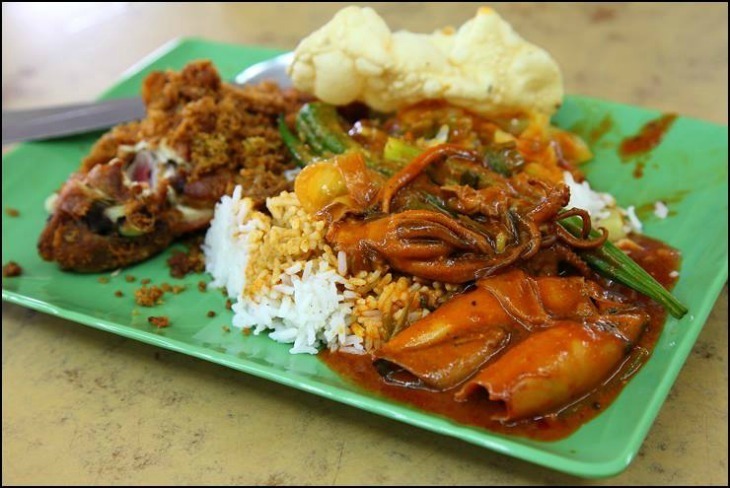 Roti King is one of the area's best restaurants. Euston doesn't have much going on the fine dining front, a smattering of fairly characterless hotel restaurants aside, but it's not totally devoid of tasty go-tos. Despite the grand name, African Kitchen Gallery is actually a small, unpretentious café serving up mouthwatering plantain, lamb stewed with dates and jollof rice for a surprisingly low price. Savannah Bar and Restaurant is located in a prime spot just a minute's walk from Euston station and serves up a menu packed with quality burgers, steaks, pastas and vegetarian dishes. Londonist writer Ruth Hargreaves recommends it for the focus on sustainable ingredients, modern decor and peaceful ambience thanks to its tucked away location. Between the menus at Diwana Bhel Poori House and Ravi Shankar, located just a few doors down from each other on Drummond Street, you could have Southern Indian vegetarian food every day for a month without repeating a dish. The best dosas are at Ravi Shankar, served with sides of coconut chutney and piles of sambhar lentil stew. Go to Diwana for spectacular and really good-value panni pooris — we recommend ordering one of each, and the Dahi Vada pea fritters to go with them. For a more carnivorous experience — though vegetarians are still well-catered for — head for the Szechuan chilli at Red & Hot where strips of beef, tender chicken and a lot of tripe dishes are doused in mouth-numbing heat. But reigning monarch of the Euston food scene is Roti King on Doric Way. Far from fancy, this Malaysian restaurant is cheap, no-frills and housed in a really basic basement, but the curries and roti canai flatbreads routinely send visitors into raptures. They certainly do for us, which is why we named it one of the best rotis to be found in London. 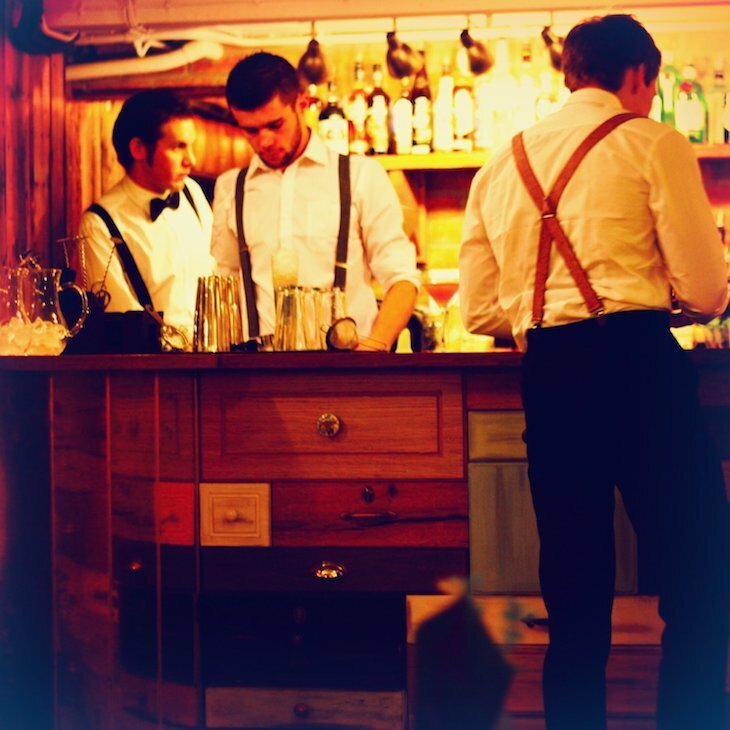 The Cosy Kettle cocktail bar is the best place for a nightcap, speakeasy-style, from the basement of Somers Town Coffee House until the small hours. Cocktail and cake pairing evenings pop up every so often too, keep your eyes peeled on their social media pages for advance notice. We're defining Euston as the NW1 postcode area with Euston station bang in the centre — running from Midland Road in the east, with North Gower Street and Euston Square station at the western edge, to Gordon Square in the south and to Cranleigh Street at the northern edge.